Ty and I are once again in California. It feels like I've spent more time here than I have in Arizona this trip! 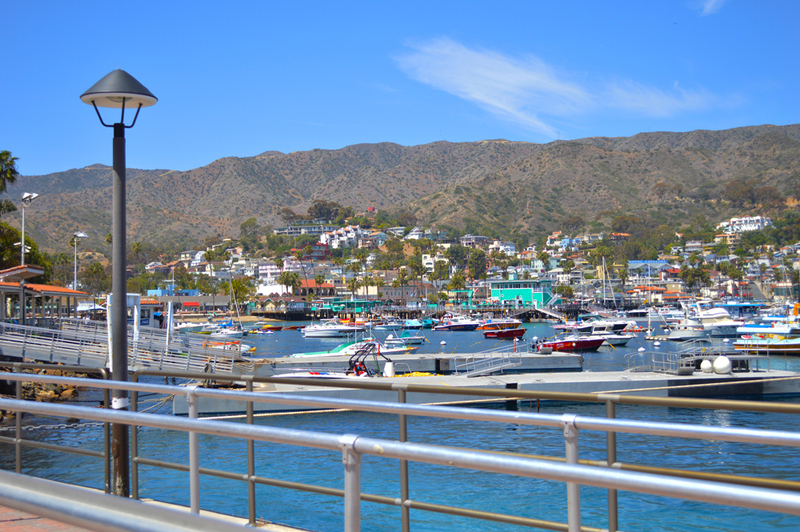 This time around it's a vacation week for us both, which we kicked off with a trip to Catalina Island for the weekend. It was our first time to the island but we went with my Cali family (Parker, Heather, Hendrix, Mandela and John) who have been before, so I knew we'd have a ton of fun things to do. Catalina is a 45 minute boat trip off the coast of L.A, so we started at the Catalina Express port in Long Beach and were walking into the sun in Avalon less than an hour later. We went up to the deck for most of the ride and saw some dolphins chasing the boat. The coolest thing about Catalina is that most people get around on golf carts. There are a few cars that you see, but most of them are tiny runarounds. We got a golf cart with the apartment we rented, so our transportation was sorted. It's a windy ride, especially at night, but it's the Catalina way. Our apartment was up in the cliffs at Hamilton Cove and the views were breathtaking. It had a Greek Island vibe up there, probably because of the white washed buildings and the steep cliffside roads. It was the perfect place to stay and I loved falling asleep to the sounds of the ocean waves. Our first activity the day we got there was jet skiing with Parker and her boyfriend Mandela. I'd only briefly ridden a jet ski before so this was a new experience for me. I bloody loved it. Driving it was great although I preferred being on the back while Ty took the reins. We did actually tip the ski over and fall in at one point, but it added to the fun. Plus, we saw dolphins swimming by us! Definitely something I want to do again. We tried the local seafood for dinner, and I got my fill of oysters which I was happy about. I had the usual raw oysters then realised I'd never tried Oysters Rockefeller before, so a round of those was ordered. They were tasty but I still prefer the traditional kind. The next morning Ty and I went snorkelling at Lovers Cove. It was a really cool experience as the water was so deep and there were so many fish swimming around us. There's a beautiful orange fish that you often see in the water around Catalina Island, called the Garibaldi. Those were wonderful to see up close, as well as some sea snails and even a sea lion that swam by us. I really want to try scuba diving next, although I'll have to get over the ick-factor of the seaweed first. After our underwater adventures we strolled over to the pier to meet the rest of the crew who were doing a spot of fishing. Mandela proved to be a bit too good at it, catching 9 fish in about half an hour! Ty was good at it too and caught 5 big ones, however Parker and I just kept getting our bait robbed. The fish were too smart for our hooks I guess. (Animal activists, don't worry, we threw them all back in and every single one swam away unharmed). That evening we went to the Island's massive theatre, which used to be a famous casino, and is now a cinema, to see Spiderman 2. They only play one movie at a time, so we lucked out with that one. All too quickly, Monday morning came and it was time for us to board the boat once again and return to the mainland. 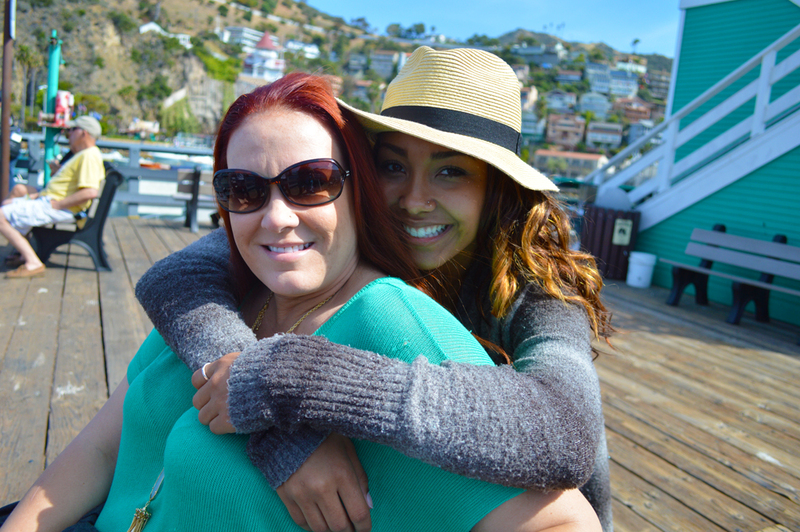 We made some unforgettable memories on this short trip and I'd love to visit Catalina Island again one day. As with most islands, the pace is pleasantly slower and perfect for some respite from the 'real world'. I really enjoyed not having any phone service too, sometimes it's nice to cut yourself off from everything for a little while. Bliss. Ty and I have been in Cali for 2 weeks now and are settled into our routine of gyming and working. That's pretty much all we do on the weekdays, but my body is not complaining! I'm growing some nice little baby muscles thanks to my trainer (Ty, obvs). 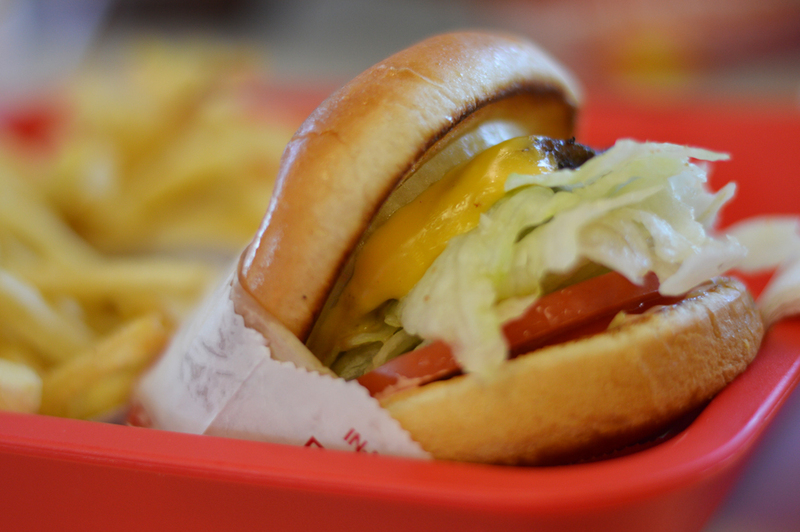 We couldn't resist the call of In-N-Out burger to kick off the weekend, so we thought we'd treat ourselves. Look at it, it's just so beautiful and yummy and... *drools*. After that we took ourselves to L.A for the weekend to spend time with my family, Parker and Heather, as well as a visit to Six Flags Magic Mountain theme park. Our main focus for Magic Mountain (other than the new Full Throttle ride, which we went on twice) were the funnel cakes. We can't go there and not have a funnel cake, they're just so good... *drools again*. We caught the theme park on a good day because the queues were almost non existent and we were able to go on all of the rides we liked. It made a nice change to the two hour long waits we had there last year. 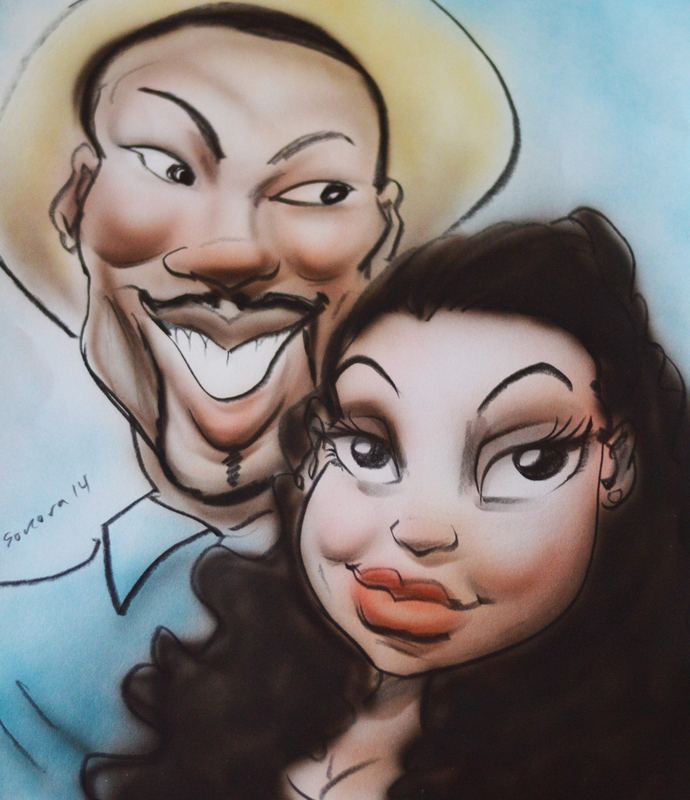 One thing I've been wanting to do for a while is for us to have a caricature done, so we did that while we were there. I think the artist got Ty's face perfectly, however mine isn't quite right. What do you think? Either way, it's a cute picture and I look forward to having it framed on a wall sometime soon.